Comments on this giveaway are now closed and a winner has been drawn. 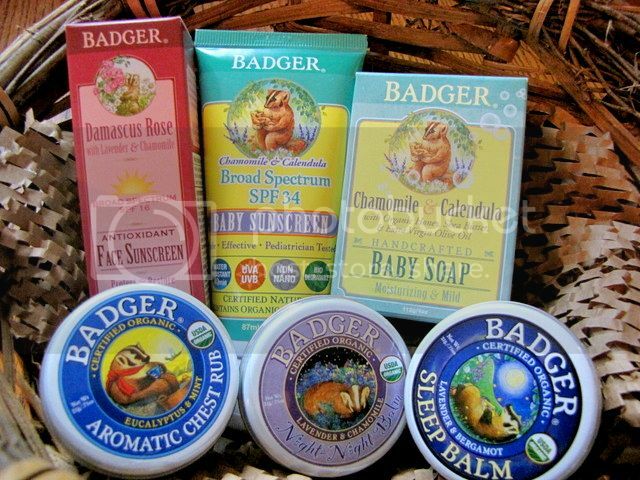 Badger Balm.. do you use of of their products? I am a big Badger fan! I started off with their Night-Night Balm for the little ones, rubbing a bit over their temples and under their noses before bedtime. It smells so heavenly and relaxing. 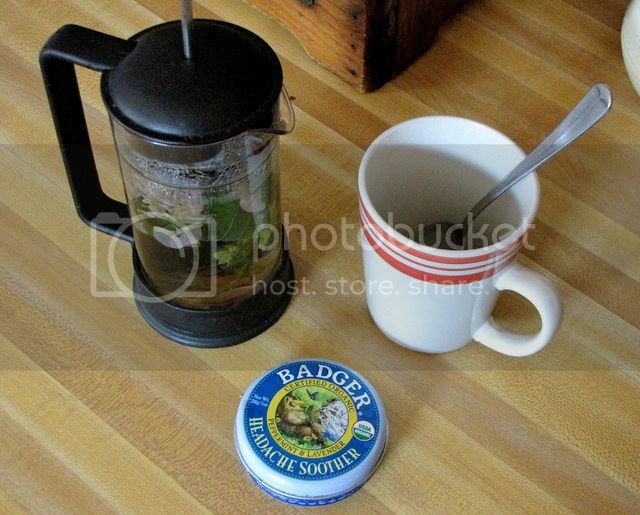 Now I pull out a tin of balm on a near daily basis. For headaches I must have the Headache Soother. The peppermint in there just opens my head up so perfectly. And I must say I've been using it a lot lately. Heat does a number on my head. It does help if you can take even a few minutes to lie down and breathe it in deeply, but I take what I can get. When my carpal tunnel starts flaring up I use Sore Muscle Rub. It works great on my aches and I've even used it to massage Kaiya's arms and legs when she wakes up complaining of achy limbs (Growing pains... do you remember how awful they were?). The rub contains cayenne pepper and ginger and you can feel a gentle, soothing heat. It's wonderful stuff! Badger sent me a few things to review, on top of what I've already purchased. We used the After Sun Balm today after blackberry picking and found it very soothing on our hot skin. And the Stress Soother is practically my new best friend. Rub it in, inhale.... a few deep breaths.. love that balm. It's got Tangerine and Rosemary in it and smells.... soft. I have no other word to describe it. Like all Badger Balms it's made with beeswax and olive oil and feels great on my skin. I have terrible eczema on my right hand and even when I don't 'need' it, I use any of the balms as a moisturizer. And like all of their products the balms are 100% organic and made with high quality ingredients. 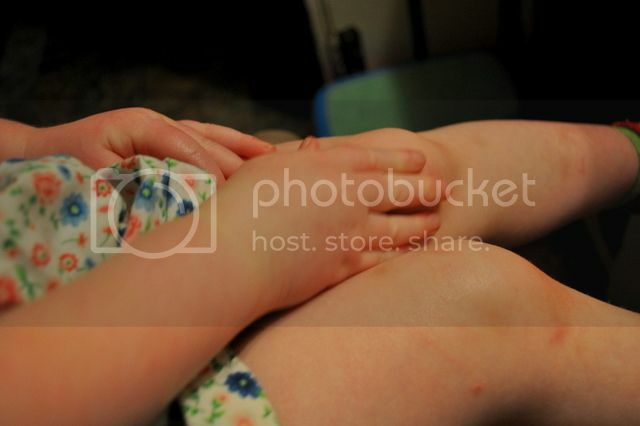 I really like being able to recognize all of the ingredients in what I'm putting on mine and my children's skin. I was also sent some Aromatic Chest Rub but haven't needed to use it yet (which is a good thing). But I'm happy to know that I have a safe and natural alternative to Vick's Vapo Rub to use the next time we do need it. Hmm, what else do we use? Cheerful Mind Balm, smells like a tin full of sunshine and is an awesome pick-me-up. Anti-Bug Balm, totally safe and works great. And Badger lip balms are amazing! Not at all greasy and of course, smell wonderful. So the thing is, I love Badger Balms because they're full of beautifully blended essential oils, soothing and feel amazing on the skin. And I can feel good about what's in them. You should know that, though Badger did send me a few things to review, I asked them if they wanted to do a giveaway because I think they're awesome and wanted to share that with you guys. Truly, I've been going on about Badger Balms for the past few years to anyone that would listen. And here's your chance to try Badger products for yourself. The whole package is worth $58.50. To enter simply leave me a comment. This giveaway is open world-wide. I will randomly draw a winner Sunday 24th. Please make sure I have a way to contact you.